Jonathan Sanchez insists that the fastball he threw Friday—which nearly hit Cardinals first baseman Allen Craig in the head—was accidental. Sanchez was pitching inside, he said, quoting verbatim from the unofficial handbook of pitcher denials. The ball rose, he said. That was all. Of course, given the pitcher’s recent struggles, not to mention his history with hot-headedness, questions abound. MLB certainly thought so, suspending him for six games on Saturday. Sanchez opened Friday’s game against St. Louis by giving up back-to-back home runs to Matt Carpenter and Carlos Beltran, followed by a single by Matt Holliday. 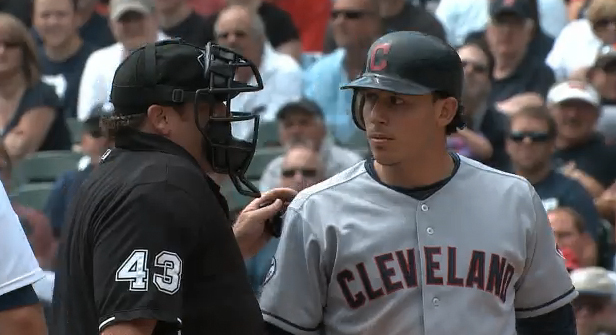 Sanchez sent his next pitch—apparently out of frustration—toward Craig’s head. (The ball ended up connecting with the spinning hitter’s shoulder.) Plate ump Tim Timmons didn’t hesitate, ejecting Sanchez without so much as a warning. It was an abhorrent string of hitters in an abhorrent season of starts for Sanchez, who has thrown a total of only 11.3 innings over four outings, with a 12.71 ERA. Twenty-one hits and eight walks. He’s made it to the fifth inning only once. Well, of course he’s frustrated. Pirates manager Clint Hurdle was outraged at the quick hook, arguing vociferously enough to get tossed himself. After the game he said he was bringing his complaints to the commissioner’s office, although Sanchez’s ensuing suspension gave a pretty good indication about how much attention the commissioner was paying. Lynn himself was brushed back by Pittsburgh reliever Jared Hughes in the eighth, avoiding a pitch that, because he was squatting while squared to bunt, came in head-high. Lynn ducked backward out of the way, ending up on his back in the batter’s box. Again, Timmons let it slide. One takeaway from all this is that an umpire on top of his game can go a long way toward stemming future disturbances. Timmons and MLB seem to agree upon that even one head-hunting incident is too many, and there’s no better way to tamp down the practice than by making examples of pitchers who stray from the proscribed course. By letting the rest of the game play out as it did—even what appeared to be an obvious message from Hughes to Lynn—Timmons further defused lingering resentment between the clubs. Neither of the weekend games between the team featured much of anything resembling Code-based drama, even with the ample opportunities presented by Pittsburgh’s 9-0 blowout on Sunday. Ultimately, the situation appears to have been handled just right. The power of positive umpiring. There are two directions an umpire can go in instances of retaliation that occur under his watch. He can let the situation play out, offering the other team a chance to respond before bringing down the hammer with warnings. Or he can go quick-draw in an effort to immediately tamp down further inflammatory actions. In the latter scenario, the offended party will inevitably be displeased about being handcuffed in its response. Which is exactly what happened to the Indians over the weekend. It started with Asdrubal Cabrera mashing a ball down the line, an an all-or-nothing shot certain to clear the fence. He watched it fly, to see whether it went fair or foul. It went foul. As did Tigers pitcher Rick Porcello, who by appearances felt shown up by Cabrera’s lingering presence in the batter’s box. 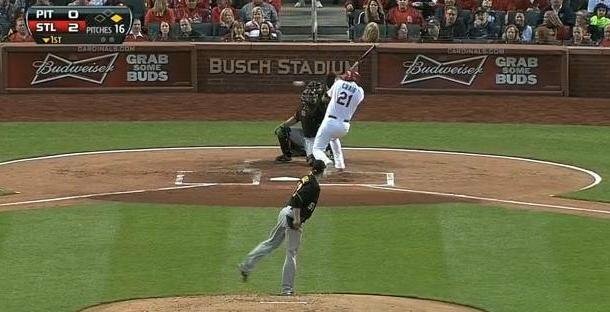 He put his next pitch behind Cabrera’s back. If only everyone was so clear, concise and correct. The manager has every right to expect a chance to respond to such a blatant Code violation—or, alternatively, have the ump collect a pound of flesh on his behalf. This doesn’t happen every time, of course; ever since umpires were instructed to tighten their trigger fingers, countless players and managers have been upset at lost retaliatory opportunities. Acta, however, verbalizes his frustration better (read: more candidly) than most. Porcello offered standard denials about the pitch getting away from him, but if even the vendors could read his intent it doesn’t hold much water. The teams meet again on Sept. 5. Hold onto your hats. 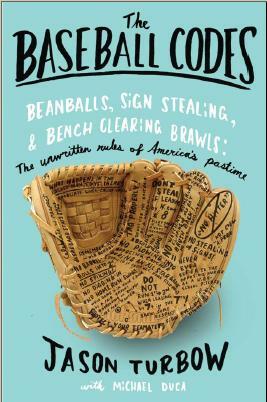 I’ve been talking to radio hosts across the country over recent weeks in support of The Baseball Codes, and a surprising number have brought up the topic of umpires, and their affect on the unwritten rules. It can be profound. An ill-timed warning can prevent appropriate retaliation for a Code violation; instead of completing the disrespect-response cycle, they leave it open-ended, to be continued another day. Meanwhile, the offended party is left to stew, which often makes the situation worse than it would have otherwise been. Sometimes, of course, umpires understand—and, importantly, tolerate—what’s going on, saving their warnings until after the aggrieved team has a chance to respond in kind. Last night in New York, however, was not one of those times. In the sixth inning, Yankees reliever Sergio Mitre hit Jason Bay in the back with a pitch. There were two outs and nobody on base (the perfect situation for a pitcher with vengeance on his mind), and Bay had homered in his previous two at-bats. Umpire Marvin Hudson immediately issued warnings to both benches. It all made sense, right up to the 75 mph breaking ball that drilled Bay. That kind of pitch is the least-likely weapon of choice for a pitcher looking to inflict a little pain—which, had the plunking been intentional, would have been precisely Mitre’s point. Pitchers are expected to deny intention every time they hit a batter, but in Mitre’s case it was justified. The biggest downside for such a warning is that it lends the perception of intent to a pitch for which there wasn’t any. The Mets didn’t take it that way—no Yankees were hit in response (which could also have been due to the warning)—but it would have been tough to blame them if they did.